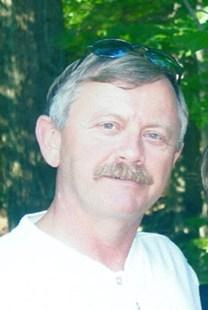 Daniel J. Davies, 62, of Sugar Grove passed away Thursday, September 5, 2013 at Fairfield Medical Center. He was born October 24, 1950 in Columbus Ohio to the late, Robert and Marilyn (Timmons) Davies. Daniel served in the US Army during Vietnam and in the Army National Guard retiring after 34 years of service. He finished his career working for the State of Ohio. Daniel will be missed by family, friends and colleagues who have had the pleasure to be associated with him during his lifetime. Daniel is survived by his wife Peggy Davies, daughters, Danielle (Brent) Siders and Carrie Rhonemus; sisters, Cathy (Richard) Hockenberry and MaryAnn (Richard) Starner; brothers, Robert Davies and Kenny (Dee) Davies; grandchildren, Emilee Siders, Layne, Kalley and Leah Rhonemus; nieces and nephews. He was preceded in death by his parents, brother Mark Davies, brothers-in-law, Don Bennett, Robert Bennett and David Sidwell. Cremation has taken place, a memorial service will be held 4:00 p.m. Monday at the Halteman-Fett & Dyer Funeral Home with Rev. Harold Sturm officiating. Friends may call 2 to 4 p.m. on Monday at the funeral home. Private burial will be in Stukey Cemetery, Sugar Grove. In lieu of flowers, donations may be made to Wounded Warrior Project, P.O. Box 758517, Topeka, Kansas 66675.